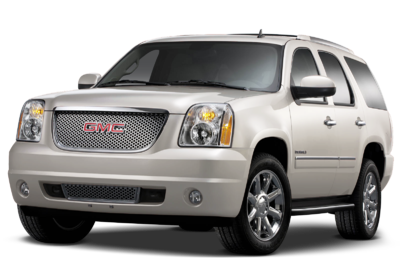 The 2007 GMC Yukon ranks tenth for Best Under $15,000 SUVS. Current inventory meeting this criteria averages 138,573 miles. The 2007 Yukon achieves a combined MPG figure of 16. Take a look below to find the Yukon in your area that suits you best! 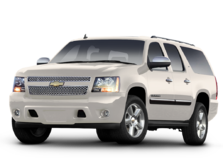 The 2008 Chevrolet Tahoe ranks ninth for Best Under $15,000 SUVS. Current inventory meeting this criteria averages 128,732 miles. Fuel economy is rated at 16 MPG combined. Take a look below to find the Tahoe in your area that suits you best! Ranking eigth for Best Under $15,000 SUVS is the 2009 Ford Expedition. 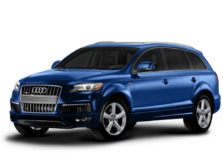 Current inventory meeting this criteria averages 124,577 miles. Fuel economy is rated at 16 MPG combined. Scroll down to see what's available in your area right now. Slotting in at seventh for Best Under $15,000 SUVS is the 2010 Nissan Xterra. Current inventory meeting this criteria averages 101,555 miles. Fuel economy is rated at 17 MPG combined. Scroll down to see what's available in your area right now. The 2009 BMW X5 ranks sixth for Best Under $15,000 SUVS. Current inventory meeting this criteria averages 95,513 miles. The 2009 X5 achieves a combined MPG figure of 17. Scroll down to see what inventory is available in your area - hurry, before these great deals sell out! Ranking fifth for Best Under $15,000 SUVS is the 2009 Mercedes-Benz M-Class. Current inventory meeting this criteria averages 91,494 miles. Fuel economy is rated at 17 MPG combined. Scroll down to see what inventory is available in your area - hurry, before these great deals sell out! The 2006 Toyota 4Runner ranks fourth for Best Under $15,000 SUVS. Current inventory meeting this criteria averages 152,159 miles. The 2006 4Runner achieves a combined MPG figure of 17. Take a look below to find the 4Runner in your area that suits you best! Coming in at number 3 in our list of Best Under $15,000 SUVS is the 2010 Mazda CX-9. Current inventory meeting this criteria averages 94,917 miles. The 2010 CX-9 achieves a combined MPG figure of 18. Take a look below to find the CX-9 in your area that suits you best! Slotting in at second for Best Under $15,000 SUVS is the 2010 Dodge Nitro. Current inventory meeting this criteria averages 96,027 miles. Fuel economy is rated at 18 MPG combined. Take a look below to find the Nitro in your area that suits you best! The 2010 Toyota FJ Cruiser ranks first for Best Under $15,000 SUVS. Current inventory meeting this criteria averages 97,017 miles. Fuel economy is rated at 18 MPG combined. Scroll down to see available inventory for 2010 FJ Cruisers in your area.